Home » Criminal Defense in Florida » What Happens After Being Arrested for Drug Possession in Florida? What Happens After Being Arrested for Drug Possession in Florida? About a year and a half ago, the state of Florida considered lessening some of the penalties associated with drug offenses in the state, under the argument that tough state laws treat drug abusers in the same manner as drug traffickers. Because of this, non-violent addicts could end up behind bars for a very long time, rather than getting the treatment they needed. As an example, a person who had seven hydrocodone painkillers on their person, without a valid prescription, could be sentenced to a mandatory three years in prison. The proposed bills would allow non-violent, first-time offenders who were caught with small amounts of illegal drugs, to go to drug court rather than to prison. The state of Florida calculated it could conceivably save more than $47 million dollars over the course of five years by simply sending 500 fewer people, convicted of relatively minor drug offenses, to prison. In theory, those savings would go toward drug treatment, counseling and drug courts. House Bill 99 and Senate Bill 360 passed the legislature and were signed into law by Governor Scott, effectively reforming some of the harsher Florida drug laws. As of September 2015, a bill is in the works which would allow currently incarcerated inmates to apply for resentencing under the reforms passed in 2014. Despite this, some of the sentences for drug possession in Florida remain fairly harsh. What Constitutes “Possession” in the State of Florida? If you have been charged with possession of drugs in the state of Florida, you are likely aware you could potentially be in very serious trouble. Drug possession is an offense by a person who did not manufacture, distribute, or sell a controlled substance, only held the substance for personal use. Possession of most controlled substances under Florida laws may be charged as a third degree felony, although the laws allow a first degree misdemeanor charge for simple possession of marijuana in an amount of less than twenty grams. In the case of possession with intent to sell, whether all elements of possession were present as well as whether there is proof of the accused’s intent to sell. finding drugs in a home or car, it may not be entirely clear who actually possessed or controlled the drugs. The charged person must have full knowledge of possession—if the person is unaware of the drugs, there has been no crime committed. Imagine a person who borrowed a friend’s vehicle, then was pulled over and charged with possession when oxycodone is found in the glove box. The specific charge will be dependent on the type of controlled substance involved in the crime and how much of the substance is at issue. There is also the issue of actual possession versus constructive possession. Actual possession of an illegal drug occurs when the substance is in the defendant’s physical custody, such as in a pants pocket. Constructive possession does not require actual physical contact with the illegal substance, but does require the accused had knowledge of the whereabouts of the drug and had the ability to physically control the drug. The state of Florida divides drugs into five schedules, which are dependent on the likelihood for abuse. Schedule One drugs are those considered to have a very high potential for abuse, such as heroin. These drugs have no currently accepted use in the medical field. Schedule One drugs), but have some medical use—with severe restrictions. Drugs such as morphine and opium fall under this category of drugs with the potential for severe psychological and physical dependence. Schedule Three drugs have some potential for abuse, and do have accepted medical uses. There is a low to moderate chance of physical dependence but a high chance of psychological dependence. Anabolic steroids fall into this category. Schedule Four Drugs have a fairly low potential for abuse, have accepted medical uses, and are unlikely to lead to psychological or physical dependence. Drugs such as diazepam fall under Schedule Four. Finally, Schedule Five drugs have the lowest potential for abuse, accepted medical uses and have very limited risks of physical or psychological dependence. A Schedule Five Drug could include Tylenol 4, which contains small amounts of narcotic drugs (codeine). Florida divides felonies into three degrees, and felony drug possession is either a first, second or third degree felony. Otherwise, the charges will be filed as a misdemeanor. Possession of up to 20 grams of marijuana, and certain other drugs which fall under Schedule Five, are misdemeanors of the first degree, punishable by up to a year in jail and a fine as large as $1,000. Florida has made no effort to decriminalize small amounts of pot or allow legal access to medical marijuana as eighteen other states have done. Possession of chemicals used to manufacture drugs like methamphetamine, GHB or ecstasy will be charged as a second degree felony, carrying the potential for up to fifteen years in prison and fines as large as $10,000. The possession of such drugs as cocaine, heroin, methamphetamine or other illegal drug, excluding marijuana, could result in a felony of the third degree, punishable by prison time up to five years, and a fine as large as $5,000. This does not apply to substances obtained with a valid prescription. Felony possession of the first degree is the most serious possession offense, and receives the harshest penalties. Possession of any Schedule One drug (such as heroin) in excess of ten grams (other than hallucinogens, GBL, GHB, methaqhalone or mecloqualone) can result in penalties of prison time up to 30 years and a fine as high as $10,000. If you have multiple drug convictions or other felony convictions, your penalties for possession are likely to be considerably harsher. If you are in possession of prescription drugs which are not prescribed to you, you could face any number of the penalties above, and could also be charged with fraud. Drug convictions may also bring probation and suspension of the driver’s license as well as ineligibility for some types of government employment, ineligibility for some forms of college financial aid, the inability to obtain a state license or certification, the inability to qualify for public housing, the inability to obtain employment and significant damage to the person’s reputation. 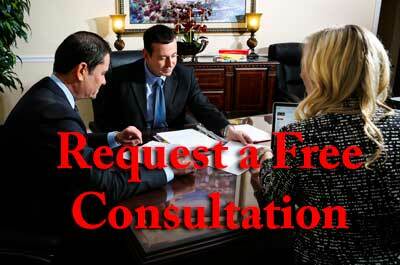 There are a number of defenses possible for charges of drug possession in the state of Florida. The specific defense used in your case is dependent upon the circumstances surrounding your drug possession arrest. First, your attorney may attempt to determine whether your Fourth Amendment rights were violated, as a result of whether the police in your case fully complied with search and seizure rules. Even if incriminating evidence was found, but the evidence was obtained through an unlawful search and seizure, the evidence may be inadmissible and therefore suppressed. As an example, if the police who stopped you had no plausible reason to suspect there were drugs in the trunk of your vehicle, yet proceeded to pry the trunk open with a crowbar, there may be a Fourth Amendment violation. If the police intimidated you in order to obtain consent to search your car or your home, then it is an involuntary search—and thus illegal. Your Ayo and Iken attorney may argue the drugs in question belonged to someone else, were planted in your vehicle or home, or that you had no idea the drugs were in your vehicle or your home. The Florida prosecutor is responsible for proving the drugs found in your home or car actually belonged to you—rather than to one of the passengers in your car or a guest in your home. Claiming the drugs were planted by law enforcement is unlikely to carry much weight in a drug possession case, as the testimony of a police officer tends to be believed inside the courtroom. The crime lab which did the analysis on the drugs seized from your person, home, or car could come under fire, as mistakes are commonly made in crime labs across the nation. In some cases, by the time the trial takes place, the drugs may not even be in evidence, whether they were lost or misplaced. A Florida criminal defense attorney may be able to challenge the credibility or professionalism of the crime lab during your trial. It may be found that if there was a search warrant which allowed the police to search your home or car, it was invalid, or there was an invalid execution of the search warrant. The drug may not have been in plain view, or there could have been an illegal pat down in order to find the drug. If your car, person or home was searched by a drug dog, the search may have been invalid, or the K-9 alert unsubstantiated. There may have been violations of the right to counsel for the accused, chain of custody issues or other illegal police activity. Other potential defenses to charges of drug possession include lack of knowledge that the drug in question was a controlled substance, the possession of a valid prescription from a medical professional or entrapment by law enforcement. If you are arrested for possession of drugs in the state of Florida, it is crucial you remember to take your Miranda rights very seriously. Exercise your right to remain silent until you have had the opportunity to speak to a Florida drug possession lawyer. Police officers are trained to extract information from those suspected of a crime, and anything you say will most certainly be used against you. After you have politely given your name and address, tell the police officer you will answer no more questions until your attorney arrives—and stick with that statement. While it may seem like a good idea to talk your way out of an arrest, this is almost never a valid option and can hurt your future much more than it will ultimately help. In some instances, a person charged with possession of marijuana in an amount less than 20 grams may qualify for a pretrial intervention program. This allows the accused to enroll in a misdemeanor or felony Pretrial Intervention Program, which requires completion of specific requirements within a set period of time, pursuant to an agreement between the accused and the state. If the program is completed successfully, the charges will be dropped, and the case dismissed. Pretrial intervention is generally limited to defendants with minimal or no criminal history. If your Ayo and Iken attorney is able to secure probation as punishment for your drug possession charges in lieu of prison time, you should probably consider yourself lucky. While probation may not be easy, it is preferable to being behind bars. The length and terms of your probation will depend on the facts associated with your case as well as the judge and your probation officers. You may be subject to random drug testing, treatment for a drug addiction, regular meetings with your probation officer, community service and the requirement of being employed or in school. Perhaps one of the most important steps you can take after being charged with the crime of drug possession in the state of Florida is to contact one of our experienced Florida criminal defense attorneys with a solid history of positive outcomes for drug charges. Ayo and Iken has former prosecutors and public defenders on staff that will advise you as to your best strategy. I must say , i never thought i’d have to hire an attorney, But none the less i have. Jenniffer Schulte has made this very painless for me. She has discussed everything in detail leaving me with no questions left unanswered . Really has me feeling no stress. Jason was consulted and hired for representation for guardianship matters involving my father. Jason is informative, proactive, knowledgeable and most of all caring. We are not just a case, we are people who’s feelings are taken into consideration. We have been with Jason for numerous years and he has always been available when ever needed. I highly recommend Jason Ponder.